We’ve seen the Los Angeles Kings raise their game countless times with their backs to the wall in recent years, but their 6-2 win over the Chicago Blackhawks and especially their performance in the third period, scoring five unanswered goals while Jeff Carter scores a hat-trick in 15 minutes, left quite a few jaws dropped, making it an even series at 1-1. 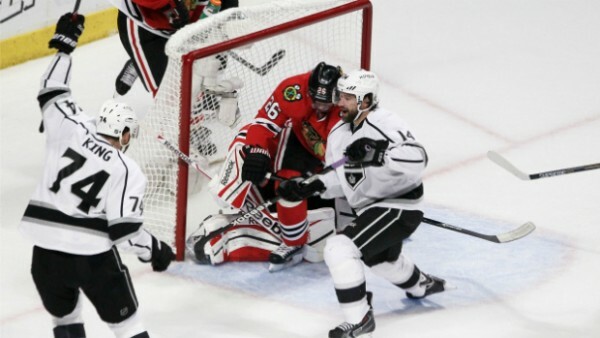 After Nick Leddy opened the game with a goal in the first period and followed by Ben Smith scoring a goal only 1:40 into the second period, giving the defending Stanley Cup champions a 2-0 lead, it looks like the Blackhawks were once again going to handle the Kings’ pressure very well like they did in game 1, taking a two-game series lead to the West coast. But something happened in that third period we usually don’t see from champions. A complete and utter breakdown. Falling apart at a level no one could foresee or comprehend. The Kings got back in the game with a goal from Justin Williams just before the end of the second period. They always say that timing your goals is important, and heading down for a break knowing things are close changed the game completely. Jonathan Quick did a great job at goal, but the story was the Blackhawks falling apart – a disaster as some of them called it after the game. The speed was gone, and accuracy or any sort of mental fortitude disappeared from the ice. Maybe it’s a fear factor these Kings induce – coming back from three games down against the Sharks in the first round and coming back from 3-2 down against the Ducks in the conference semifinals. Carter becomes only the 12th player in NHL history to score 3 goals in the 3rd period of a playoff game. The last two to do it, Darren McCarty of the Red Wings in 2002 and Mark Messier of the Rangers in 1994, also ended up winning the Stanley Cup that year, which bodes quite well for the 2012 champions. The way it turned on a dime like that, I don’t know if we’ve seen a game like that all year where we’re doing everything all right and all of a sudden it was a disaster. Obviously, things unraveled during the third. We’re not happy. And we’re looking forward to getting on the plane and making up for it in Game 3. 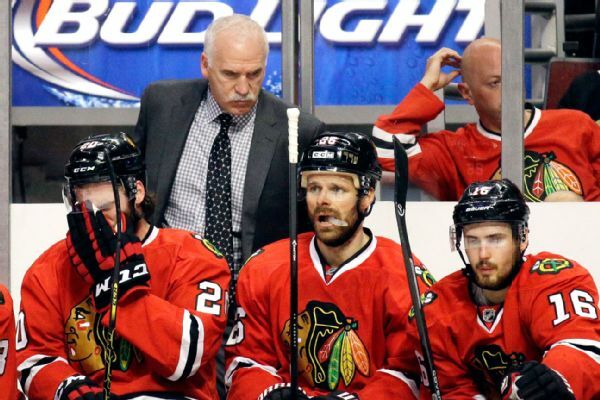 Corey Crawford wasn’t to blame for all the goals, but it is safe to say that a less composed performance from him could have helped the Blackahwks avoid such a hammering in the final period, that hopefully for them won’t resonate in the next few days. The Kings can get over confident when they’re comfortable. Darryl Sutter needs to make sure things remain on edge for the next few days.